Eoxys Sensor Watch platform along with Cloud server as back end IOT system suitable for researchers and solution developers. 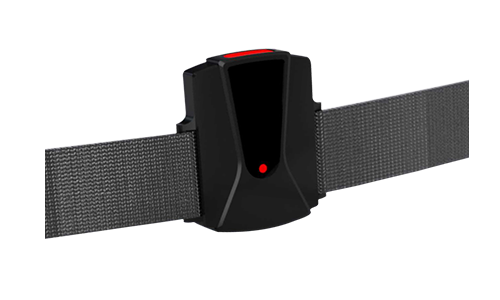 Eoxys Sensor Watch platform has been successfully field tested with a health care application. We can connect our sensor watch to cloud in three minutes through our Mobile and Cloud applications & collect the raw sensor data at the back-end. Researchers and solution developers can focus only developing end applications by processing the collected sensor data to generate actionable insights for medical, sports and/or industrial applications. Sensor watch platform offers low-power, long period, high data sampling (100Hz) and re-chargeable battery operation. The sensor watch has following sensors data which are available on BLE. Eoxys has an automated data capture & playback setup to log the raw sensor data streams with timestamp. Using this setup, We can provide algorithms and analytics for sports gestures, fitness, health, exercise and wellbeing by turning the raw sensor data like accelerometer, gyro, compass, heartbeat data into actionable insights and physiological parameters. This can be used by hundreds of elite sports teams, thousands of enterprises & corporates and millions of consumers worldwide to be better aware of themselves & improve their performance and wellbeing. 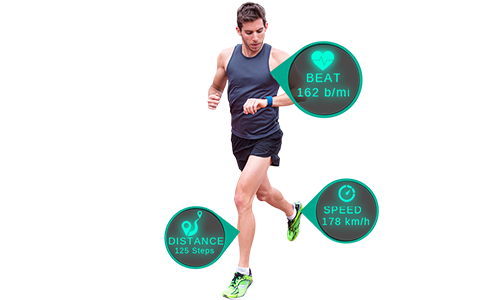 Our sensor watch platform can be customized to build sports wearable for Athletes training. This wearable will have relevant sensors with WiFi, BLE or NFC communications. During the training or playing sessions, the wearable sends the raw and derived sensor data to cloud server. The following parameters such as heart rate, speed, distance, calories burnt, step count, path trajectory path, PDR, energy level,…etc can be collected. Then complex algorithms can be performed on the recorded data at cloud side to make sense out of recorded data. Our Sensor Watch Platform can be customized for Cricket training as well. We can customize our sensor watch to build wearable with relevant sensors along with WiFi, BLE or NFC communications. During the training or playing sessions, the wearable sends the raw and derived sensor data to cloud server. The following parameters such as heart rate, speed, step count, path trajectory, energy level, bowling angle, time duration for the particular task,..etc can be collected. Then signal processing algorithms can be performed on the recorded data at cloud side to derive performance metrics and improvement suggestions from the recorded data against each player. 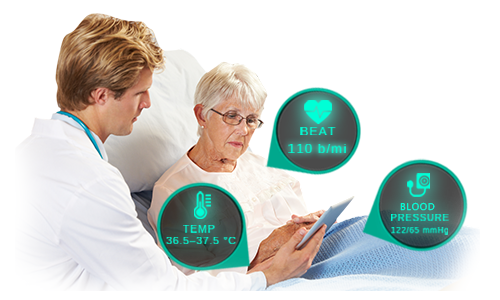 Our Sensor Watch Platform can also be used for continuous patient monitoring applications. We can customize our sensor watch to build wearable with suitable sensors along with WiFi/BLE communications. The user activates the monitoring mode and the wearable starts tracking users key health parameters like heart rate, activity, oxygen saturation, skin conductance, body temperature and blood pressure. The wearable sends these raw and derived sensor data to cloud server where signal processing algorithms can be run on the recorded data to derive health metrics and improvement suggestions for each patient. Our Sensor Watch Platform can also be used for Sleep Activity research studies. We can customize our sensor watch to build wearable with suitable sensors along with WiFI, BLE or NFC communications. 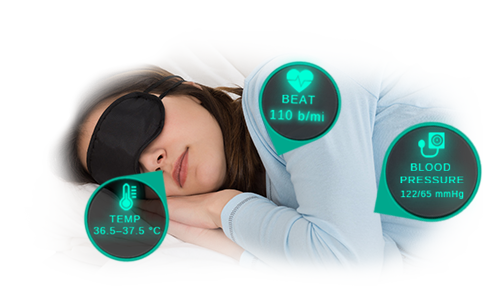 The user activates the sleep study mode and the wearable starts tracking users sleep activities. The parameters such as heart beat rate, body temperature, respiration rate, blood pressure, oxygen saturation level, galvanic skin response, ambient light, noise, snore, REM count,…etc can be collected and transferred to cloud server. Then signal processing algorithms can be performed on the recorded data at cloud side to derive sleep performance metrics and improvement suggestions from the recorded data against each user. Our Sensor Watch Platform can also be used for wirelessly sensing industrial machine’s key parameters. In industrial sensing applications, wired sensors are predominantly used. But there are scenarios where it’s not viable to use wired intefaces such 4/20mA, RS485 or RS232. To address this, we can customize our sensor watch to build wireless sensor with WiFi or BLE communications with battery operated. 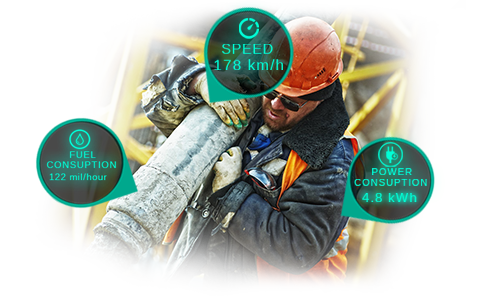 The sample parameters that can be monitored wirelessly are vibration, objects fall detection, rotation count, rotation direction, fuel consumption, power consumption, speed of the machine, service due, service count,…etc. The sensor can talk to standard or custom industrial gateways/data loggers wirelessly and transfer the sensor data. Copyright © 2010 - 2018 Eoxys Systems India Pvt Ltd.